Sounds good. It's interesting that Ren is still there without actually being there. I like that it's a completely new story. Keeps things from getting old. I hope it's not too confusing though. Alison: I didn't think it was too confusing. I like how we get the information at the same time that Calla does. I liked the "new perspective" in this book too. 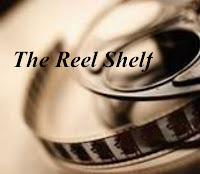 I hated the cliff hanger.... BTW, are you going to the ISLMA conference this week? I read Nightshade but still haven't read this one so I'm kind of bummed that you don't see much of Ren in this one. I'm glad that you learn about his past though. Since I'm totally Team Ren - Shay annoyed me in Nightshade - I too hope that there will be more of him in Blood Rose and that Calla picks him. 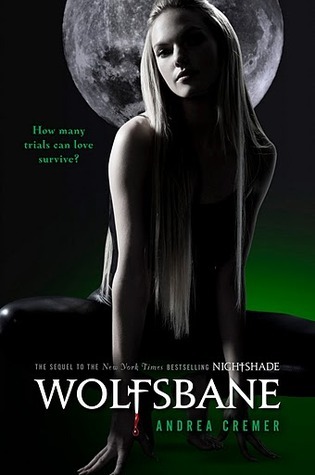 So glad to see you enjoyed this one Rummanah, I've been reading a lot of negative reviews for it lately and I enjoyed Nightshade:) I'm super disappointed we don't get much of Ren himself in this one, he was one of my favorite parts of Nightshade. Love the sound of all the new characters though and I'm really glad we get more background on the Searchers and Keepers:) Awesome review! Canadian Girl: I'm really leaning towards Team Ren, especially after this book. Jenny: Yeah, I really missed Ren in this book, but he's present without actually being there. O.o He's background is really heartbreaking. Hope to see more of him in book 3. I'm gonna wait until the release of the last book to finish this series. Cermer has said she is big on cliffhangers and will not apologize for them and that really bugged me. The plot really doesn't move forward too much. Sure, a few things get explained and we learn a few shocking secrets, but there was never a jump to the next part of the story...until the end. We get another cliff hanger! The book was fast paced and because of that, I feel like there should have been another 100 or so pages added. And seriously, that cliff hanger! I like them, but can I please not have them right when the story is getting to its grit?